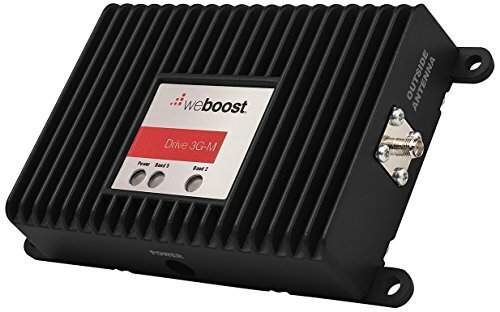 Whether you're making a call or using GPS, the weBoost Drive 3G-M keeps all your cellular devices including smartphones, tablets and laptops seamlessly connected wherever you go. Staying connected is essential, but it can be difficult on the road. Hills, trees and distance from the signal source all affect call quality not to mention streaming services and GPS systems, all while draining your phone's battery as it searches for service. Drive 3G-M lets you use multiple devices simultaneously for complete wireless connectivity. It substantially improves your cellular signal strength, giving you the reliable voice and data coverage you need on all cellular-connected devices in the vehicle.